Nick Soup: Putting the FUN in FUNctional Workaholic! Putting the FUN in FUNctional Workaholic! 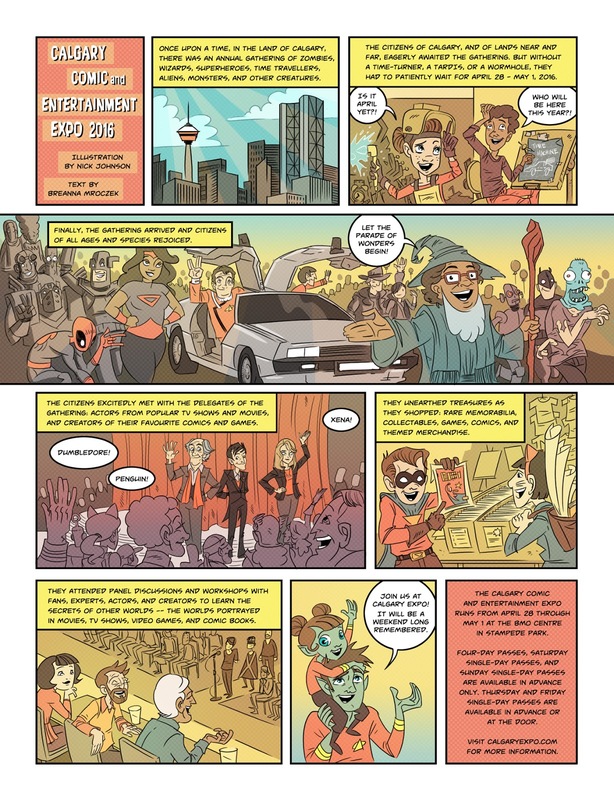 This months issue of Where Calgary features a one page comic drawn by yours truly regarding the upcoming Calgary Comic and Entertainment Expo. You can check it out below and follow the above link to check out the entire issue. This was a lot of fun to work on and I'm sure the show this year will be great. 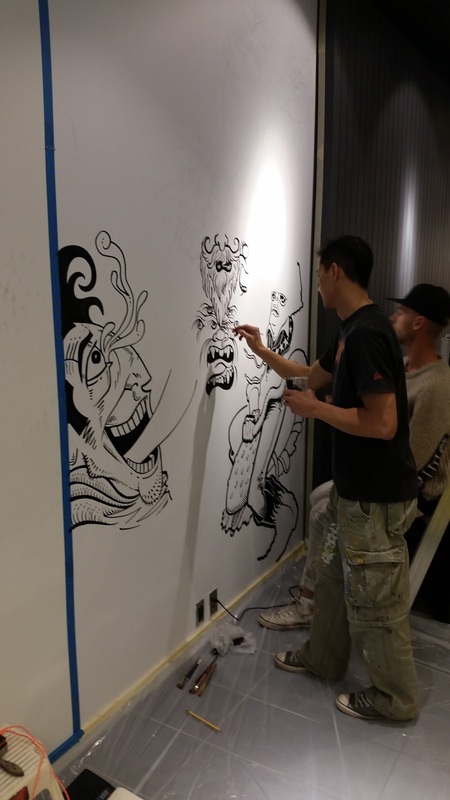 Way back in October, I was randomly contacted by a rep from En Masse in Montreal who partnered up with Fido to do murals for their stores across the country. I was so lucky to be a part of this project. The two other artists I was working with were complete pros, totals masters of the mural, wicked-skilled in black and white patterns and imagery. I learned so much. 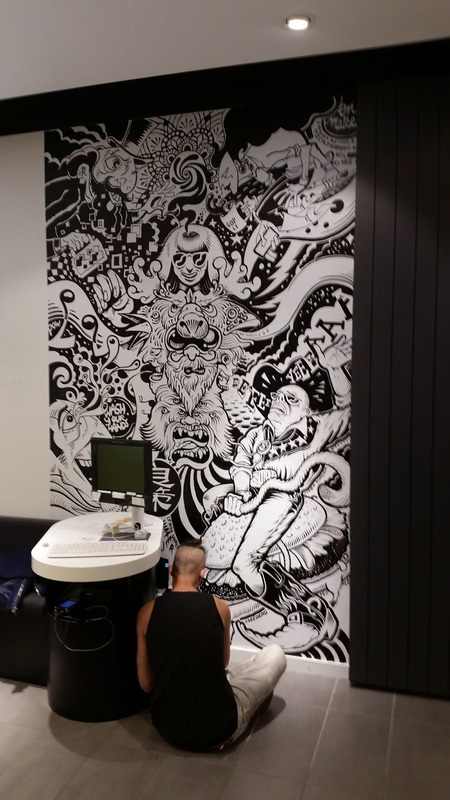 You can see some in-progress pics below or visit Fido in Chinook Centre to drink in the real thing! Back in the day, I made my way up to visit my comic pals in Edmonton every few months. They always have something fun going on up there and I really do love hanging out with those peeps. After school and work and stuff, I couldn't get up there as often, but when I was offered the opportunity to set a record with them, I just couldn't resist! Over a period of 48 hours, during the final days of the Royal Alberta Museum, a bunch of comic-crazed lunatics decided to do the world's biggest comic. 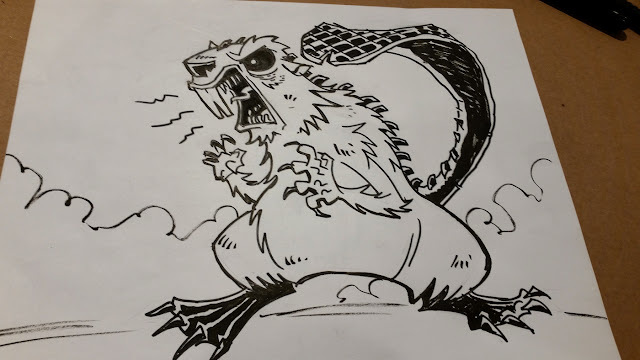 Jay Bardyla of Happy Harbor Comics was the ring leader for this madness and it was one of the most thrilling, exhausting, ridiculous marathon comic sessions of my life. I loved it. Still waiting to hear back from Guiness on whether or not the title is ours! This is a finished page where I was bale to do pencils, inks and colours. 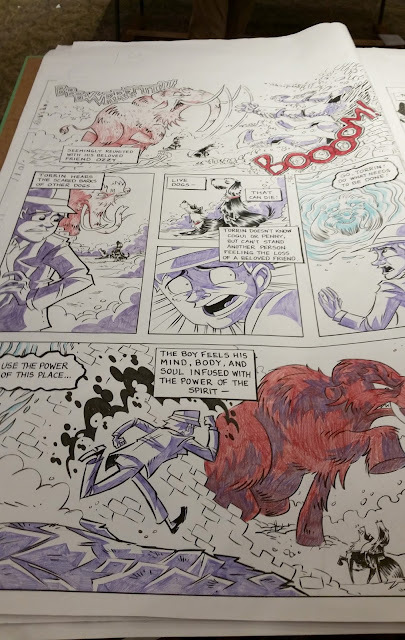 As intimidating as those huge blank pages were, inking at this scale with a brush tip marker was a blast. This is one of the characters I designed, an enormous prehistoric beaver, powered by the forces of darkness. 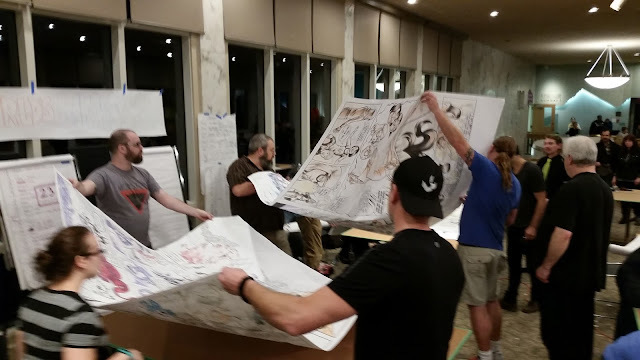 And to give you a sense of scale, here are some folks assembling the comic as the deadline loomed. We literally finished with seconds to spare. 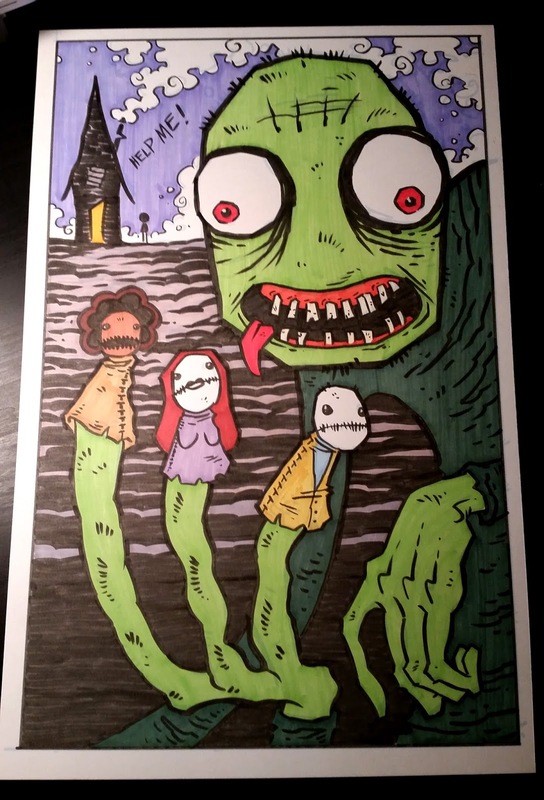 Who doesn't love a little salad fingers action?